If you have been following the blog you have probably been wondering when I was going to get around to writing about those most charismatic of Antarctic megafauna – the penguins. Well, today is the day. After a quick trip to Dream Island this week, we finally have some good pictures to post. 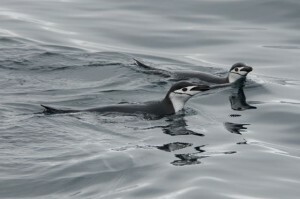 Chinstrap penguins at sea. Photo by Zach Swaim. Until now, most of our interactions with the penguins here at Palmer Station have been at sea, watching the adults commute back and forth from their nests to feed. It is summer here, so each pair of adults takes turns going to sea to feed while the other stays home with a pair of hungry chicks. Penguins are, in fact, a major focus of our work here, although there is another group (the ‘birders’) working on their ecology. They are conducting colony counts, outfitting birds with transmitters and, occasionally, sampling the stomach contents of adult birds using lavage to see what they are bringing back to their chicks. It’s pretty cool work and the birders are a hard-working and exceptionally skilled group of field biologists. Most of the time we are just trying to keep up with them. Krill sampled from the stomach of an Adelie penguin. The process does not harm the bird. Photo by Andy Read. 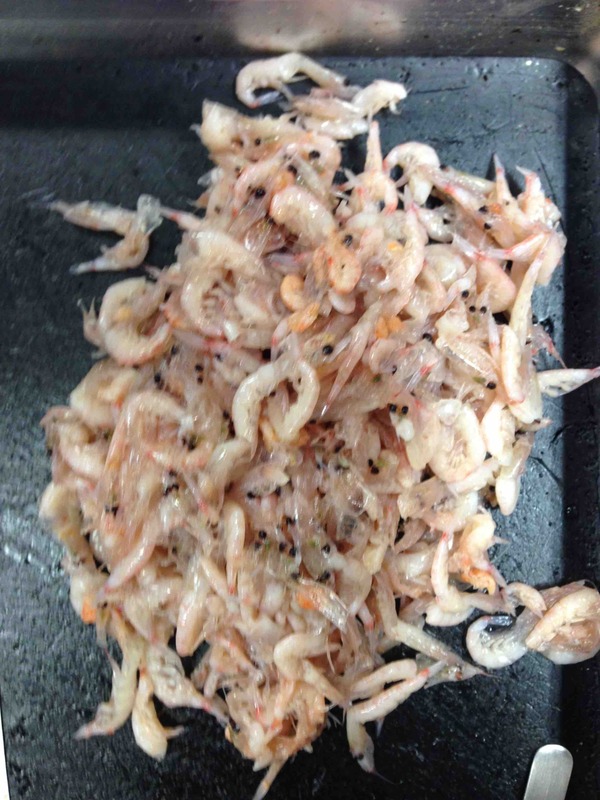 Of course, the focus of our work is on the feeding ecology of humpback whales as they recover from past over-hunting – but we are interested in what effects the whales will have on the penguins, because both feed on the same thing – Antarctic krill. To out it simply – will more whales equal fewer penguins? 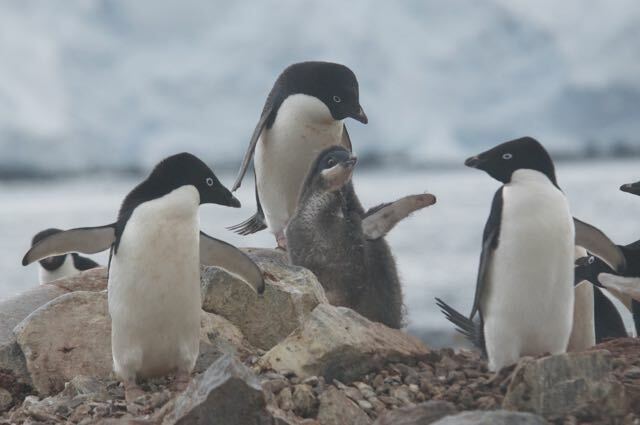 It’s just an awkward age – Adelie penguin chicks starting to molt on Dream Island. Photo by Andy Read. We think that it is unlikely to be quite as simple as that. 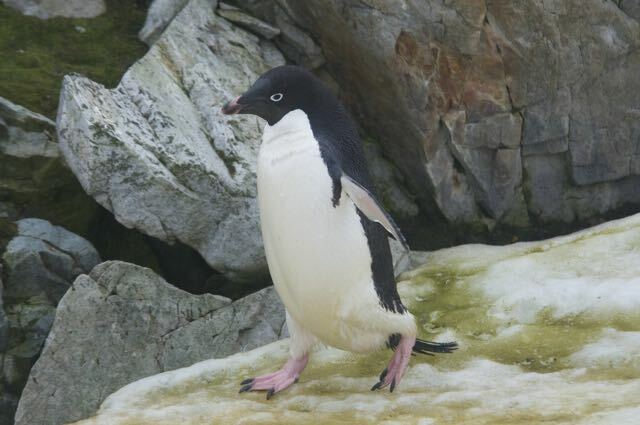 The climate of the Antarctic Peninsula is changing as rapidly as anywhere else on earth – the warming here is having a profound effect on everything from glaciers to penguins. 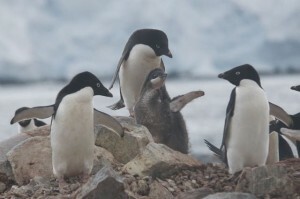 Adelie penguins, in particular, seem to have been adversely affected by climate change. These are truly Antarctic birds and their numbers here have been dwindling rapidly over the past two decades. 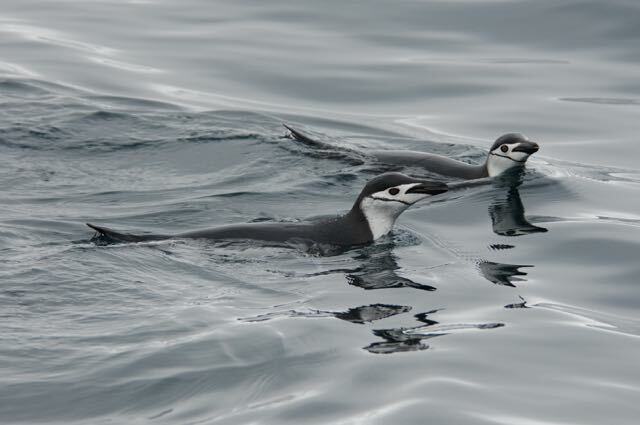 Adelies are being replaced by two more temperate species – Gentoo and chinstrap penguins, both of which are better suited to the relatively warm (and this year, rainy) conditions we now experience here. 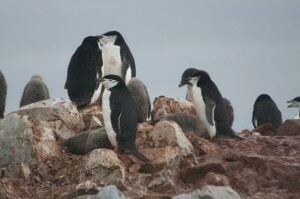 As anyone who has been to the Antarctic can attest, penguin colonies are messy, smelly places. Yes, that is penguin poo all over the place. Chinstraps on Dream Island. Photo by Andy Read. So what effect will a large and hungry population of humpback whales have on penguin populations? That is what we are hoping to find out over the next six years as part of the Palmer LTER project. 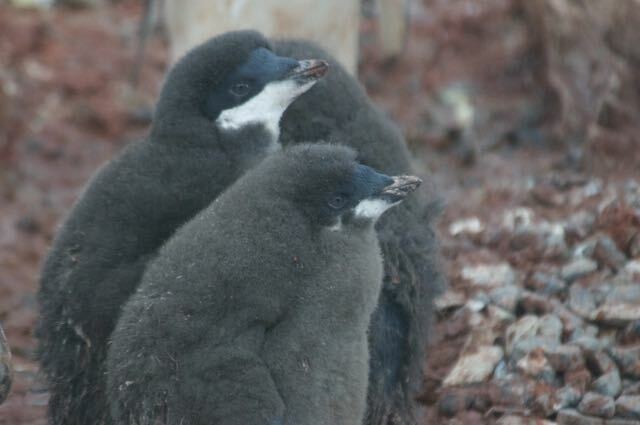 So stay tuned and, meanwhile, enjoy some penguin pictures.